CCRM Australia accelerates the commercialisation of Australian regenerative medicine therapies and related technologies. We do this through engagement and fostering local and international collaboration between industry, clinicians and academia; thereby nurturing local regenerative medicine companies for the international market. The last 12 months have seen significant progress with CCRM Australia. With the endorsement of the 5-year strategic plan by the CCRM Australia Council and its subsequent approval by key stakeholders, CCRM Australia have been able to address many critical operational objectives and achieved several key milestones. 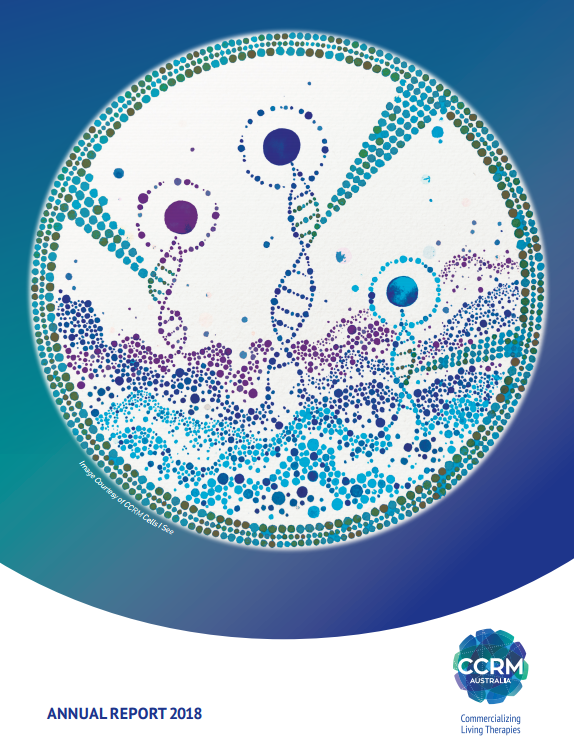 View the CCRM Australia Annual Report 2018 as a PDF. Australia’s leading regenerative medicine researchers have come together in a coordinated, collaborative fashion to support the creation of CCRM Australia. CCRM Australia is a not for profit established to address bottlenecks in the translation and commercialisation of RM discoveries in Australia. CCRM Australia is modelled on the highly successful CCRM in Canada and is legally separate to CCRM. As a member of the Global CCRM network, CCRM Australia is a partner to a leading edge industry consortium. CCRM Australia is taking RM from bench to bedside by treating and potentially curing some of the most devastating and costly diseases in the world today. What is Canada’s Centre for Commercialization of Regenerative Medicine (CCRM)? Since its inception in 2011, CCRM has become globally recognised as a translation centre and has become a leading global commercial hub for regenerative medicine and cell therapy. In partnership with top research institutions in Canada and abroad, and with a consortium of global industry leaders, CCRM has established a track record of developing and commercialising innovative technologies that tackle significant bottlenecks in the industry. development of scalable expansion protocols for pluripotent stem cells. the bundling of technologies to create spin-out companies. CCRM has approached ARMI at the Monash University Clayton Campus to establish an Australian ‘hub’ modelled along the CCRM operational model. This hub will be developed in parallel with other emerging hubs in Israel, Japan, Europe and Singapore. Subscribe to our newsletter RegenMedAu to stay up to date with the latest news and announcements from CCRM Australia. CCRM Au is committed to sharing only important news, announcements and events with you and will not SPAM your inbox or share your details with third parties.